Bali is possibly the most picture perfect place on earth. For many visitors, it is a place that is lush, beautiful, and awe inspiring. Expats have been coming to this island paradise for decades. Here they find enrichment in her beauty and the Balinese people. A true traveler must visit this magical place. Bali is very hot all year round. Since Bali is very close to the equator, its average temperature is about 85 to 90 degrees. Bali has a wet season and dry season. The dry season occurs between late spring and summer (May-September) and is the best time to visit. There is mostly rain and cloudy skies from December to March. The rain comes down in torrential downpours at times, so there is no way to get around getting wet. Bali is always humid and can be very uncomfortable at times. However, people can cool off at the many pools and shorelines available. Bali is a part of Indonesia. 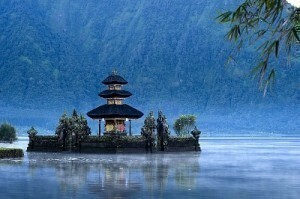 Although Indonesia is known to have the largest Muslim population, more than 90% of Bali’s population is Hindu. Information about Indonesia can be found at the U.S. Embassy in Jakarta. Also, visit the Consulate General of the Republic of Indonesia in New York. Most expats come to Bali for the surf and sun. While the main industry on the island is tourism, the other popular industries are agricultural in nature. Many expats secure employment in Bali by becoming English teachers. However, a teacher’s salary is very modest. Entertainment tax rates have risen dramatically in recent years. For certain types of entertainment, the tax rate has increased from 35% to 75%. This was obviously done to throttle the tourist economy and slow growth. The income tax rate is 35% and the corporate tax rate is 30%. There is also a value added tax (VAT). Bali is a tropical country. This type of weather is conducive to the breeding of parasites that can cause serious illnesses. Anyone who intends to travel to Bali should make sure that their health is good. Although Bali has many clinics and medical offices, anyone who needs a special/complex surgery has to leave the island. Health care is relatively cheap and there are many clinics available. People in Bali can get Malaria or Dengue fever because of the prevalence of insects that carry these diseases. Unfortunately, foreigners cannot buy freehold land in Bali. This means that foreigners can only lease property. Bali has grown from a tiny agricultural community to a world class tourist destination in only two decades . There are many wonderful, but expensive properties on the island. A luxury apartment can range between US$200K to millions of dollars. However, a standard home with three bedrooms costs less than US$100K. There are some cheap accommodations available that offer basic conveniences. Modern apartments are available also, but may be expensive as they were built with vacationing families, not expats with limited incomes, in mind. For the most part, shopping is decent in Bali. There is a superstore called Makro that is similar to Walmart in the US that sells just about everything. There are also many small delis and grocery stores. With the right amount of money, one can partake of the shopping in the tourist areas. Prices are high, but the items available are definitely worth it. A few small markets and boutiques are located in rural Bali. Prices are very low here, especially if the buyer is Balinese. The cost of living in Bali is relatively affordable. For instance, a single person can easily live on $1,000 per month and a family of 5 only needs around $1,500. Accommodation is the biggest expense for many. A short term (less than a year) expat can find dorms that cost less than $10 per night. Cars are very expensive, so most people on the island ride scooters or motorcycles. These bikes usually cost around $1,000 to $2,000 but an older model costs far less. Other necessities that are expensive include electricity and telephone service. Internet service is available and it is moderately priced. Many expats hire maids to take care of their homes. These maids or pembantu usually cost less than $100. Forums About Travel and Living in Bali.